Most of you know that I love to bake and although I’m good at following recipes, I’m often thinking about what ingredients are in my pantry and by using what’s available – I experiment! Well, one of my favourite cravings are Cinnabons! For years, while I was commuting to and from work I would have to pass by the Cinnabon shop and its cinnamon aroma wafting through the train station. It really does call for you and every once in awhile, I fall weak and indulge 🙂 So now that I’ve started making my own bread, I decided to make homemade cinnamon rolls. 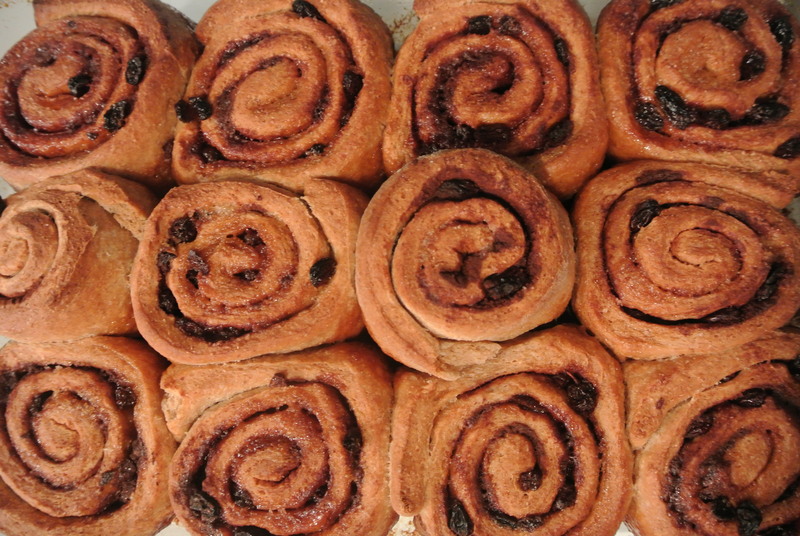 I adapt the typical cinnamon rolls by using whole wheat bread dough as opposed to brioche and I leave out the icing – I can’t have these go straight to my hips! For my first try, I thought they turned out pretty good and they taste better than they look! I added a butter and brown sugar mix to the bottom of the pan before nestling each bun in the casserole dish. This created a sticky caramel bottom and added a toasted texture to the roll. These were perfect to freeze in individual portions and gave me the perfect breakfast on the go! 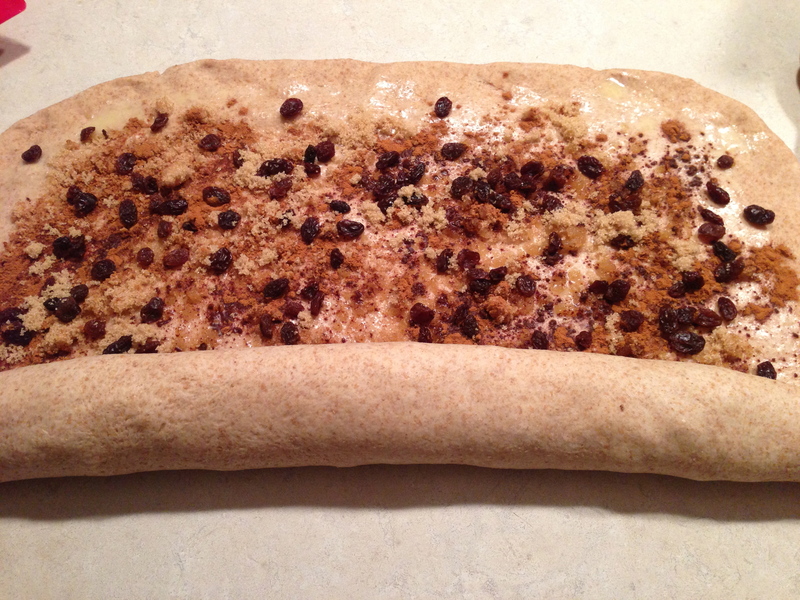 Rolling up the dough – the filling was made from cinnamon, raisins and brown sugar. 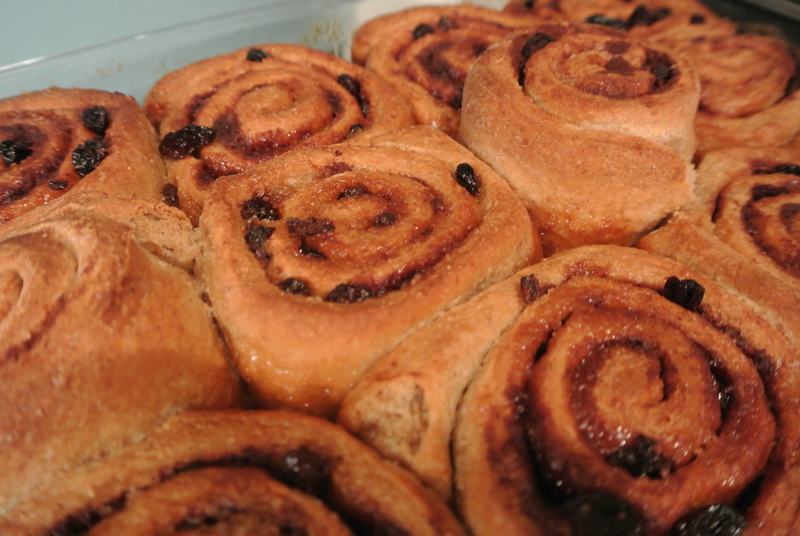 Fresh from the oven cinnamon rolls! The butter and sugar bottom was still sizzling as I took them out. 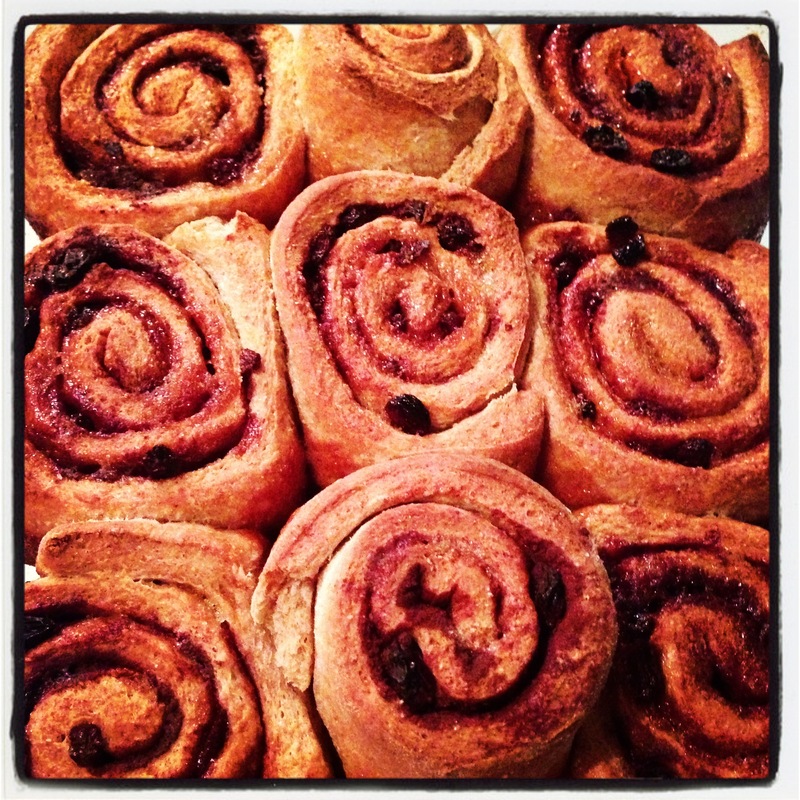 My Instagram photo of my cinnamon rolls – I’m loving my new Iphone!